Diamonds, gold, lead and concrete have very different electrical characteristics, including their ability to conduct electricity. Two of these substances are electrical conductors and two are insulators. Gold and lead, being metals, make poor insulators. 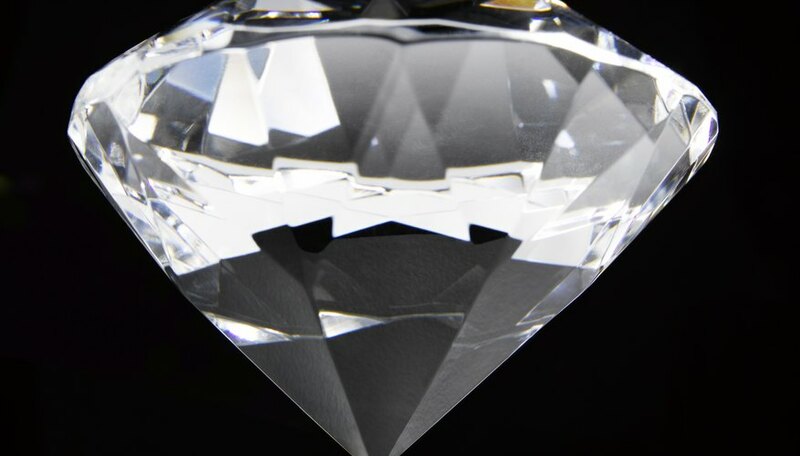 Diamonds and concrete are nonmetallic and have good insulating properties, but diamond would make the better insulator, due to its strong resistivity. A standard electrical wire consists of a metal conductor surrounded by an insulating plastic jacket; the conductor carries electric current where it needs to go, and the insulator safely prevents electricity from wandering to other wires or conductive materials. Conductors carry electrical current with very low resistance. Insulators, on the other hand, strongly resist current, effectively blocking the flow of electricity. Conduction depends on the electrons that orbit the atoms in a substance. 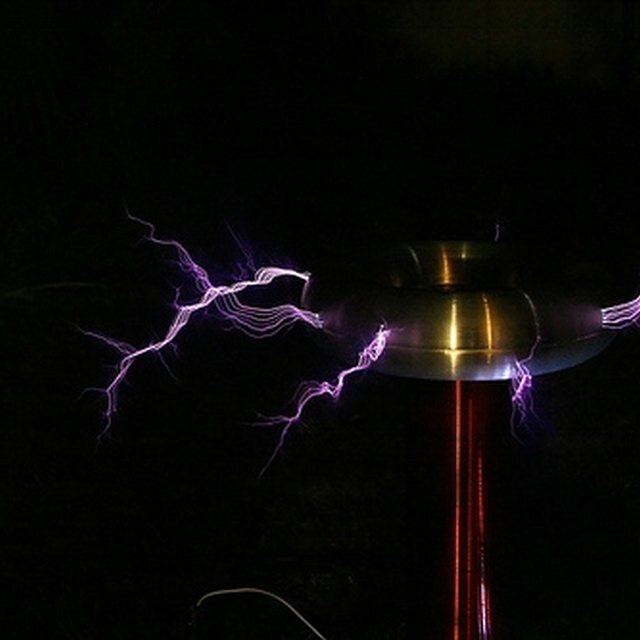 In good conductors, the electrons move about freely, making it easy for a current to flow. In an insulator, electrons are more restricted, so electric current moves poorly. The better the insulator, the higher the resistance. Scientists measure insulating materials in terms of resistivity -- the resistance in ohms multiplied by the distance it must travel -- and use units such as ohms times meters. For example, the resistivity of glass, an insulator, is over 1 billion ohm-meters, whereas aluminum, a conductor, measures 26 billionths of an ohm-meter. One of the hardest materials known, diamond is also an excellent electrical insulator. In diamonds, atoms of carbon -- a non-metal -- are held tightly in a three-dimensional crystal formation. Its resistivity is approximately 100 quadrillion ohm-meters, or 1 followed by 16 zeroes. Concrete is a mixture of minerals, including sand, crushed stone and gravel. Portland cement binds the mix together to form a rigid solid. Resistivity depends on the exact formulation and varies from 50 to 1,000 ohm-meters. Although concrete conducts electricity poorly compared to metals, it is a better conductor than glass and other materials. A mix of concrete with a low resistivity contributes to corrosion in steel structures embedded or attached to it. Although lead compounds can be good insulators, pure lead is a metal that conducts electricity, making it a poor insulator. Lead’s resistivity is 22 billionths of an ohm-meter. It sees use in electrical contacts because, being a relatively soft metal, it deforms easily when tightened and makes a solid connection. For example, the connectors for car batteries are typically made of lead. A car’s starter motor draws over 100 amperes of current briefly, requiring a robust connection to the battery. Gold is a poor insulator and a good conductor, having a resistivity of 22.4 billionths of an ohm-meter. As with lead, gold is widely used to make electronic contacts. Unlike many other metals, it is very chemically stable and resists the corrosion that degrades other types of electrical connectors. Papiewski, John. "Which Would Be the Best Insulator: Diamond, Gold, Lead or Concrete?" Sciencing, https://sciencing.com/would-insulator-diamond-gold-lead-concrete-5984.html. 25 April 2017.